Get these great men’s Falke cottage socks for warm and comfortable feet around the home! The leather sole protects the feet and gives extra warmth to the socks. Made from a cotton blend the socks are lovely and soft against the skin. Cashmere and angora add a luxurious feel to the socks. 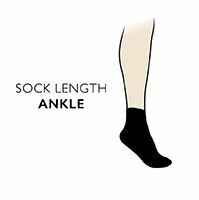 A ribbed fold over cuff is not only a great design feature but allows you to tailor your socks to suit your needs depending on how much of your ankle and lower leg you want covered. These would make a fantastic gift for someone special or a lovely treat for yourself! The small amount of Angora used in the yarns of these socks is procured from suppliers who guarantee animal welfare.